After realizing that most of his Advanced Behavioral Health team was already familiar with this system, Pearson decided to purchase it for the practice. However, the system wasn't a good fit for the organization's specific goals. "Advanced Behavioral Health works primarily with insurance companies and the initial system we had in place created a negative 'trickle down' effect that resulted in tremendous inefficiencies due to manual data uploads to insurance portals," Pearson explained. "The countless wasted hours for our employees affected the accuracy of our data analysis and collection; furthermore, the system was not compatible with Mac computers, our primary device for running day-to-day business operations." Advanced Behavioral Health turned to CentralReach, which it described as the ideal applied behavior analysis practice management and clinical platform that could accommodate all of the organization's needs, including scheduling, billing and clinical data collection. "Our company no longer has to maintain and manage multiple systems at once," Pearson said. "We now had the 'all-in-one answer' to all the challenges we were facing, and the software could also support our future growth plans we had on the horizon. We converted to CentralReach in August of 2017 and haven't looked back since." "The platform allows us to scale our team to better serve our clients while continuing to provide the highest quality applied behavior analysis service." Advanced Behavioral Health now didn't have to manage multiple systems – increasing the efficiency of the team, optimizing revenue cycle management, and freeing up more time for the team to spend time providing behavior treatment to clients that needed its help. "Our organization's clinical supervisors were also able to access client data instantaneously, versus waiting days, weeks or sometimes months when they were using program binders with the old system," Pearson said. "This meant we could easily track client progress and make changes proactively since we no longer needed to scan and store client data sheets. The business was saving several hours per week while ensuring HIPAA compliance." "With CentralReach in place, I purchased inexpensive tablets for Advanced Behavioral Health's clinical staff," Pearson said. 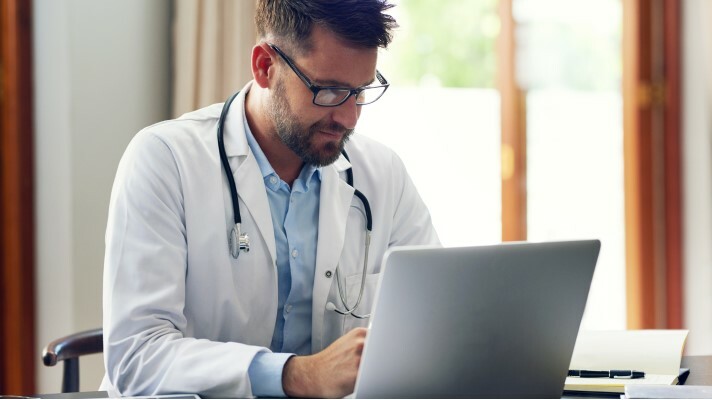 "Clinical supervisors are now able to access client data immediately, versus waiting days, weeks or sometimes months when they were using program binders." "My team was no longer wasting time trying to navigate the once complicated billing process," Pearson said. "It became a 30-minute 'push-button' task instead of a tedious, several-hour undertaking. We now utilize the AR and sales dashboard where we can see exactly which claims have been paid, which are still outstanding, and which claims we need to follow up with." "The platform allows us to scale our team to better serve our clients while continuing to provide the highest quality applied behavior analysis service," Pearson said. "Our onboarding process within CentralReach gives us visibility into team member schedules and we are able to run reports and manipulate the data to provide services to our clients faster and more efficiently than before." "Our goal is to make our clinical supervisors' jobs as efficient as possible so they can focus on what they are best at – providing quality and ethical applied behavior analysis," he said. "With the technology, our clinical supervisors can see data in real time and progress programs at a rate that was not feasible before the technology." "Our clients' families also have access to the data, which empowers them to take a more active role in their children's programs," Pearson added. "Report writing for funding sources used to be a very different process and pose challenges in the search for data needed. With electronic data collection, the data is readily available reducing the amount of time spent writing reports. The savings averages two hours per report, which increases job satisfaction of our clinical supervisors."